Sale bells ring, are you listening? 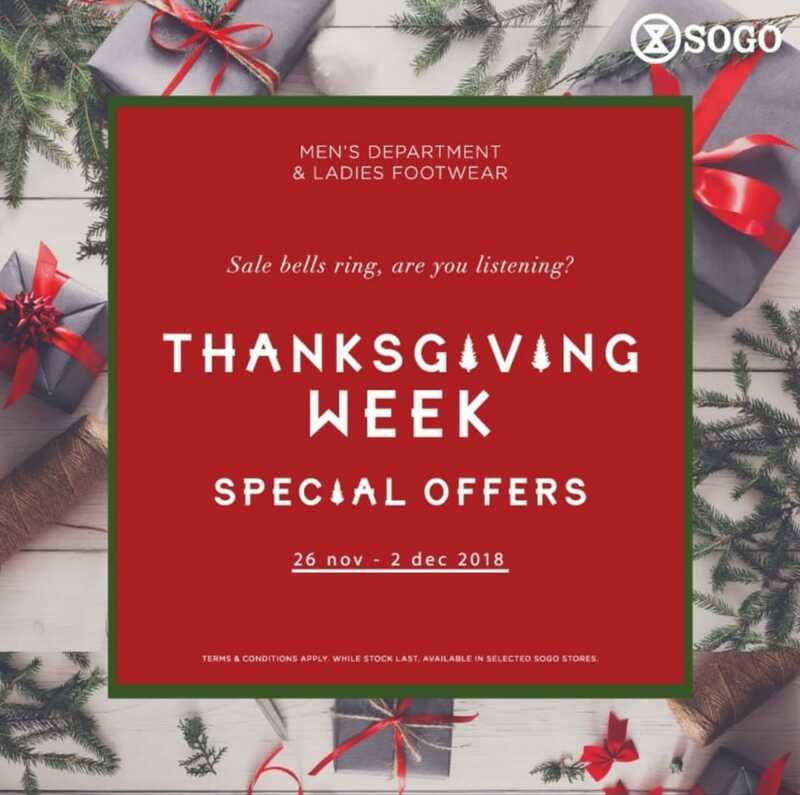 It’s Thanksgiving Week at SOGO. Disc up to 70% OFF* or special offers* for men’s department and ladies footwear. Valid from November 26 – December 2, 2018. Come and visit SOGO Central Park Mall.